Is Your Tape Measure Obsolete? Maybe. Thanks to compact, versatile, and accurate devices like this one, your once adequate measuring tape may soon be gathering cobwebs. The measuring tape: It’s a tool of unobjectionable simplicity, no more or less complicated than it needs to be—for some measuring jobs. There are times, however, when the old standby reveals its limitations. For instance, if you’re measuring over a long distance, it can be a real pain to get an accurate reading, if it’s possible at all, without a second pair of hands. Similarly, if you’re taking multiple measurements, one after another, over and over, fiddling with the tape becomes tiresome. 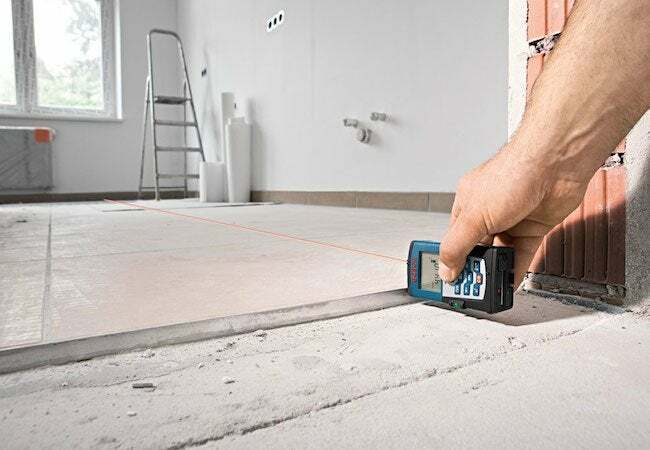 For years, laser measuring tools have been used by those in the trades, but only somewhat recently has the technology come down enough in price to be attractive for handy homeowners. Now, for less than $100, you can use the same timesaving tool that many pros swear by. It’s no toy. Simply put, for all but the shortest distances, working with a so-called “laser tape” is faster and easier than the traditional alternative. And the digital tool is just as trustworthy as its analog forebear. 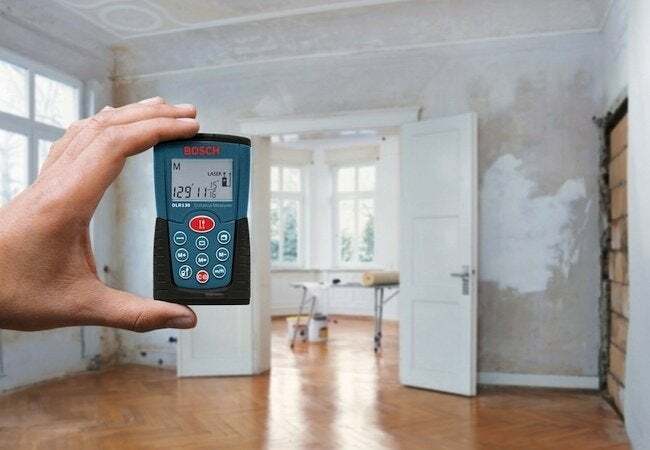 One popular model, the Bosch DLR130K Digital Distance Measurer, exhibits accuracy down to 1/16 of an inch, even for distances as long as 130 feet. 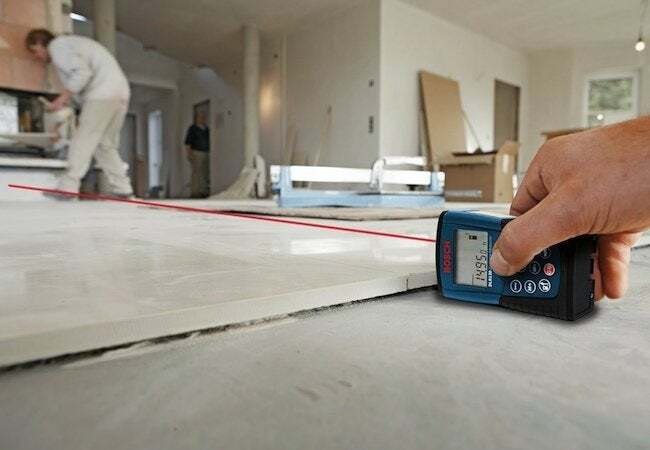 Weighing in at just about five ounces, the Bosch DLR130K fits conveniently in a pouch or pocket, making it easy to carry as you move around the job site. As portable as it may be, it’s also fully featured. Not only does it report distances, but the tool also conveniently calculates area and volume—in four systems (inches, feet and inches, decimal feet, and metric). Batteries are included with purchase, and that single set of AAAs can power approximately 30,000 measurements.